When Intel released the Optane SSD 900P series in Q4 2017 they really upped the ante in the enthusiast storage market with a high-end 3D Xpoint-based drive. The 900P series was aimed at enthusiasts and workstation users that are looking for unmatched performance for desktop PCs. 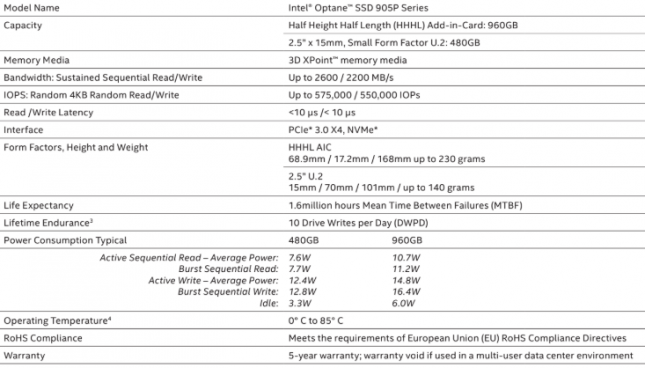 Despite the young age of the 900P Series, Intel pushed ahead and released the 905P series in Q2 2018. By doing some controller and firmware tweaks the engineers at Intel were able to boost performance higher than what they could achieve on the 900P series! Sequential reads have improved from 2500 MB/s to 2600 MB/s and sequential writes went from 2000 MB/s to 2200 MB/s. For those more worried about Random 4K performance the reads went from 550,000 IOPS to 575,000 IOPS and the writes went from 500,000 IOPS to 575,000 IOPS. 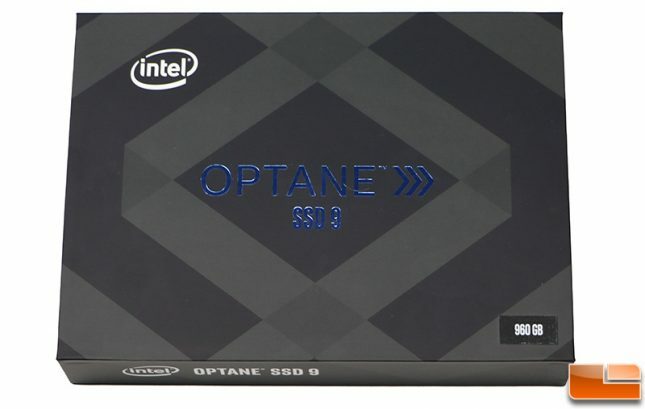 On top of that Intel introduced a larger 960GB capacity model for the 905P add-in lineup, added LED lighting and increased the operating temp range upper limit from 70C to 85C. 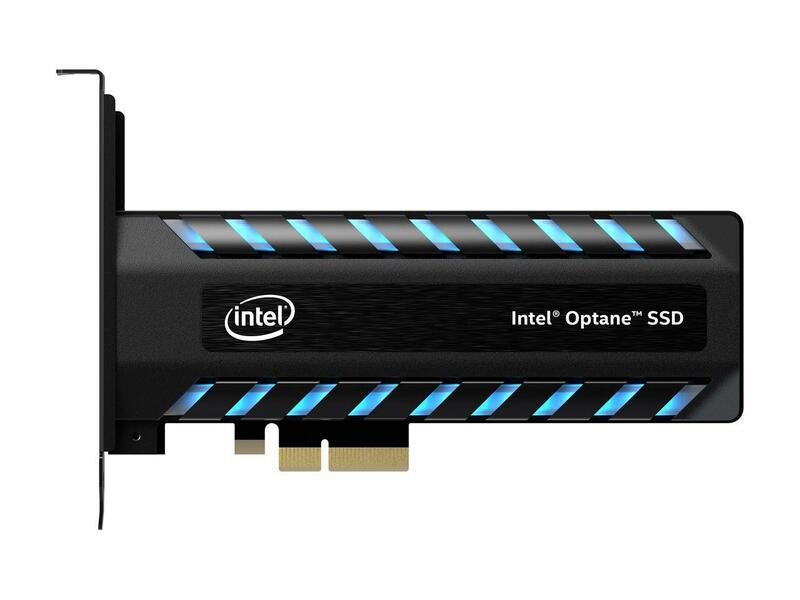 The Intel Optane SSD 905P isn’t that much different than the Optane SSD 900P when it comes to pricing. These 3D Xpoint models are still ridiculously expensive. 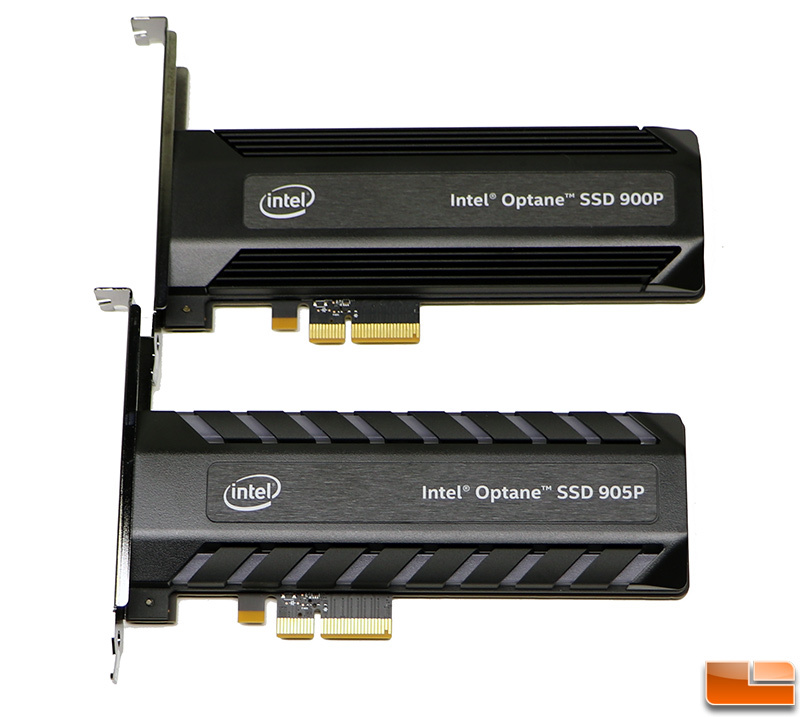 The Intel Optane SSD 905P Series 960GB AIC (part number SSDPED1D960GAX1) runs $1299.00 shipped or $1.35 per GB. For those looking for less storage space and a lower price tag, there is the 480GB 2.5-inch PCIe U.2 version available for $576.26 shipped or $1.20 per GB. Pricing alone is why this drive is targeted at content creators with workstations or enthusiast desktop users that have no money worries. 10 µs read and write latencies and respectable four corner performance ratings. 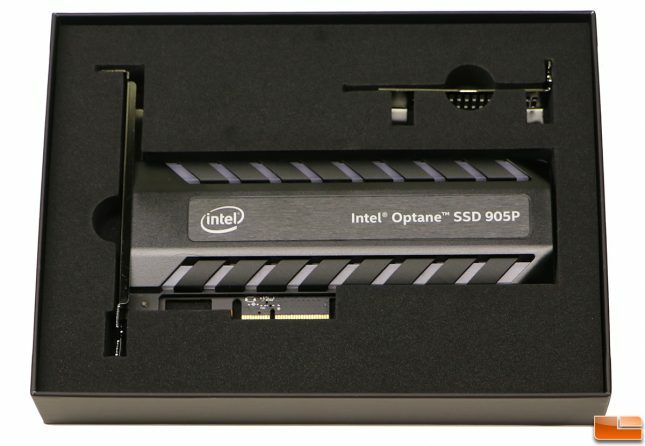 The retail packaging for the Intel Optane SSD 905P series has a nice clean look to it. Inside the box you’ll find the Intel Optane SSD 905P PCIe Express Add-In-Card. 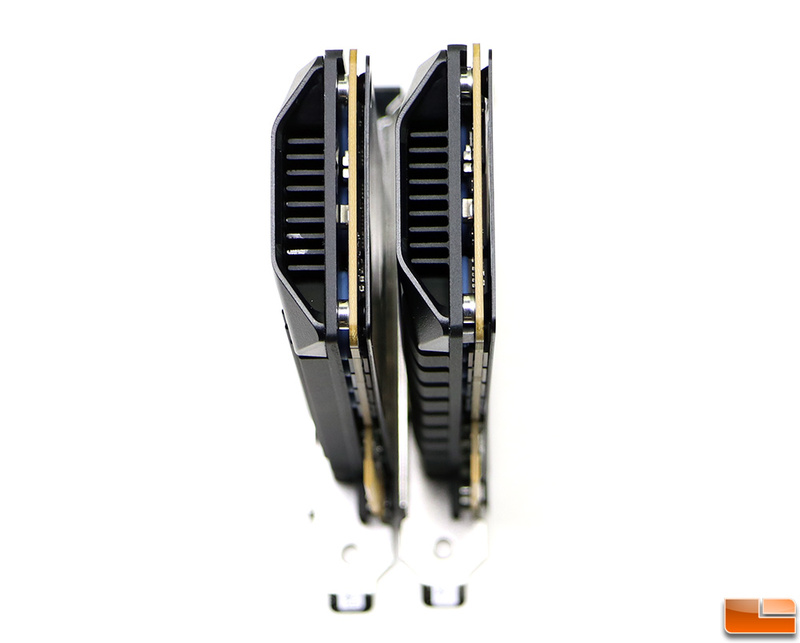 The 905P features a half-height PCB (68.9mm / 17.2mm / 168mm) and Intel includes both brackets to simplify installation. The front heatsink has LED lighting along the top and bottom and there is also a flat heatspreader on the back to help with heat dissipation. 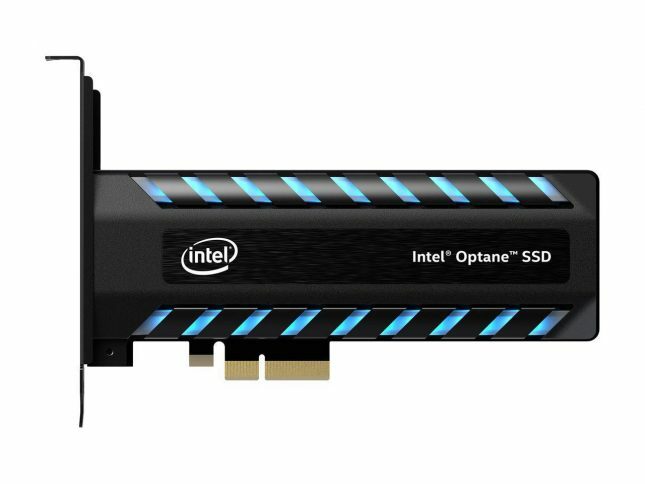 We feel that the Intel Optane SSD 905P has a more appealing look than the original 900P series, but that is going to be subjective. Despite the minor heatsink redesign and added LED lighing, the number of cooling fins on the heatsink remains unchanged. Let’s take a quick look at our test system and then move along to testing!